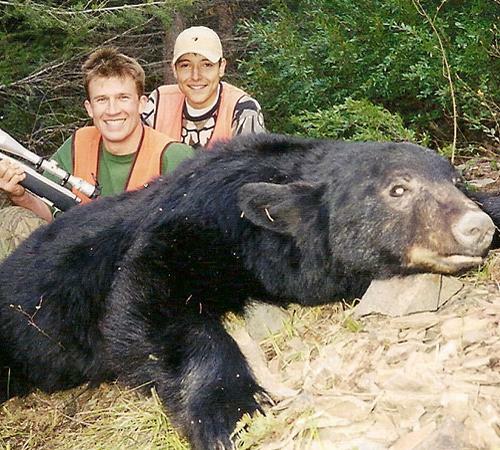 Montana spring black bear hunt success runs about 90% kill with about 110% shooting. Opportunities on black bear are in the well over 95% range. 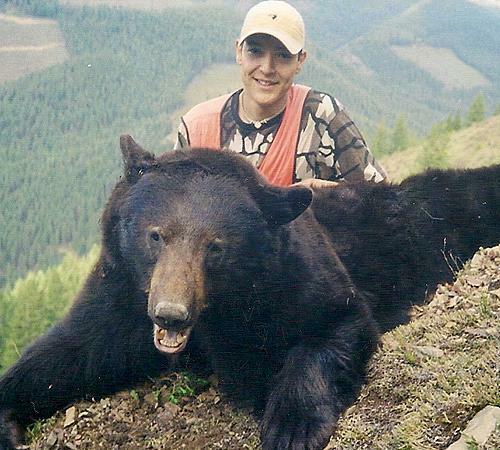 We have all color phases of black bear in our area. 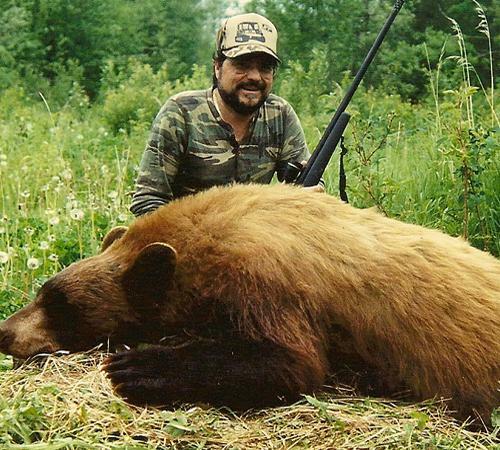 There are black bear, brown colored bear,, cinnamon bear, blond bear, and black with a white v marking bears. There are a great number of bear in our area. 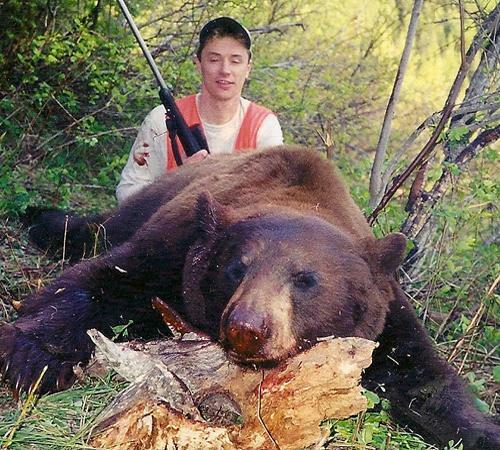 Montana is where we conduct our bear hunts. 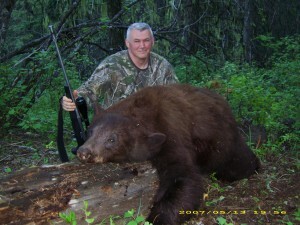 Spring bear season starts April 15th in and runs until May 31st. Since Montana winters are sometimes long, and the snow-melt is late, we have you come as late in the spring as possible, enabling us to access the areas. 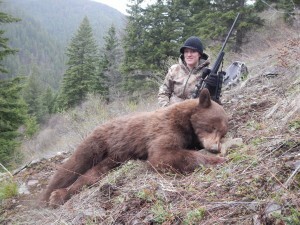 Larger bear in Montana also come out later in the spring. Montana is a fair chase method state for bear. 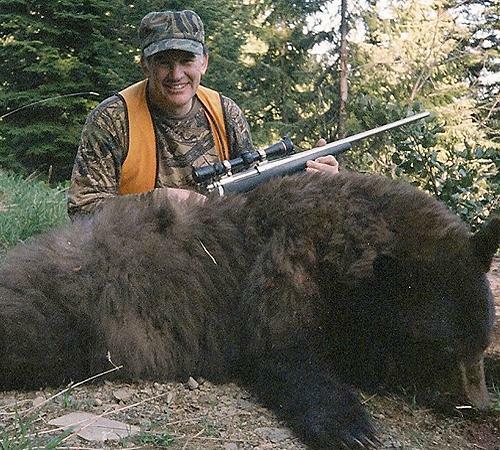 Spotting and stalking are the main methods used in this hunt. 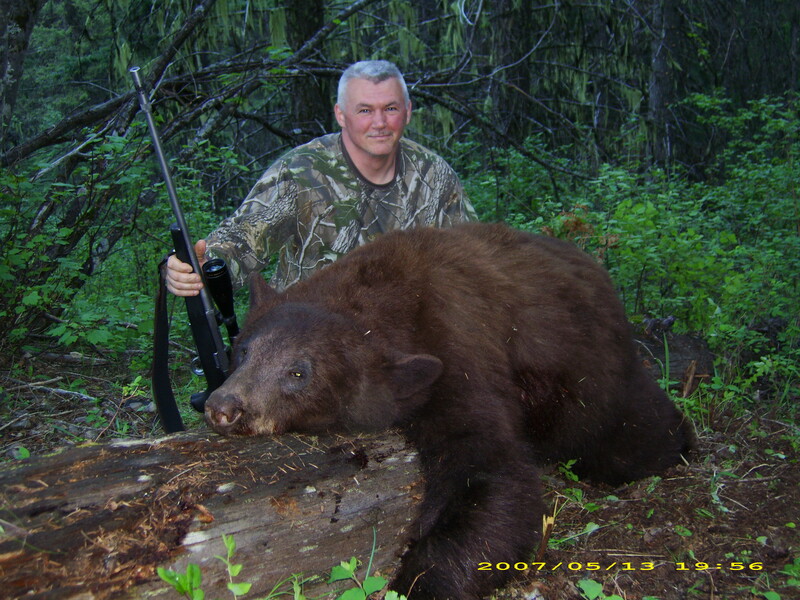 To hunt for Montana black bear we utilize closed roads, open brush fields and natural feeding habitats to hunt for Montana black bear. We do not use hounds or bait, and we do not have the black fly problem found in other areas. 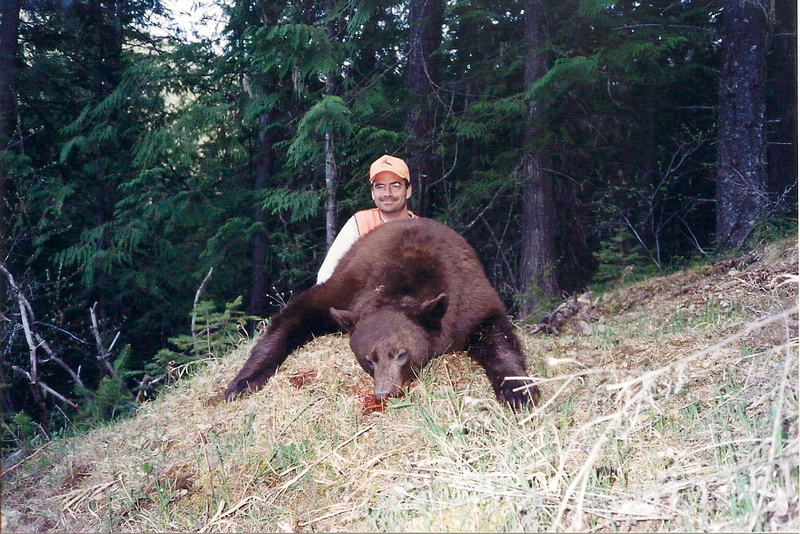 A Montana hunting guide will guide you during the hunt and you will not be left in a tree stand somewhere for hours. We are a full service outfitter and guide service. Food, lodging and airport pickup are included in the price of the hunt. 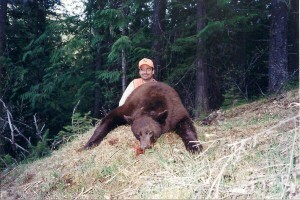 We limit this hunt to 4 hunting guests per week. 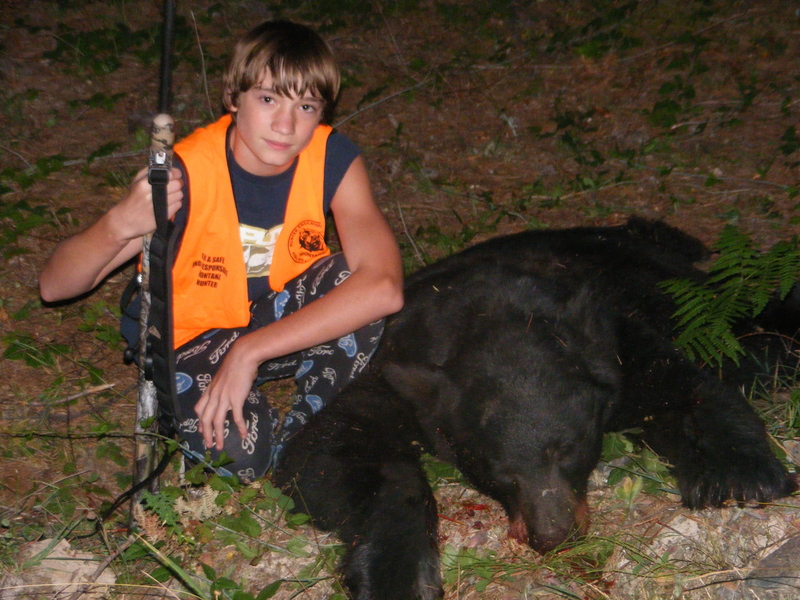 All you need to bring is your hunting gear, your weapon and your hunting license. We’ll take care of the rest!